Another milestone in Pesch's career. "Metal Queen"; few artists are more deserving of this title than Doro Pesch and now her twentieth album is set to be the jewel in the crown, another milestone in Pesch's career, as it will be her first ever double album release containing twenty-five tracks in total. First track 'All For Metal' has a modern approach, bringing an upbeat, fast rhythm that's overlaid with some Manowar-style chants through the chorus and, of course, silk entwined, razor-edged vocals from the German powerhouse herself, all of which ensure this is a memorable anthem. No wonder it has been picked as the first single to come from the album! 'Bastardos' brings in the Metal wall of sound which Doro does so well, whilst 'If I Can't Have You – No One Will' sees Pesch duetting with Johan Hegg (Amon Amarth) and it's like nothing you've ever heard from the German metaller! Pesch can pull some real passion from her voice like no one else and puts this to good use on the ballad 'Soldier Of Metal', the song being heavy but clear guitar solos and a purer tone on the lead vocal makes this a powerful track. Switching modes once again, a big helping of good time Rock 'n' Roll is dished out in the form of 'Turn It Up'. Dripping with catchy hooks, driving guitars and pounding rhythms makes this track a sure-fire winner. 'Blood, Sweat And Rock 'N' Roll' follows in a similar vein, but carries with it an attitude lifted straight from the Sunset Strip. Apart from this album breaking new ground musically for the band, and in the quantity of songs penned within, there are also a number of Rock heroes who have contributed to the material here, including Doug Aldrich, Tommy Bolan, Mille Petrozza and Joakim Broden to name just a few. Pesch is also out to beat the boys at their own game with Whitesnake's 'Don't Break My Heart Again' and she does a worthy job. Meanwhile, 'Freunde Fürs Leben' ('Friends For Life'), which is sung totally in German, oozes feeling from every note in its rousing delivery. 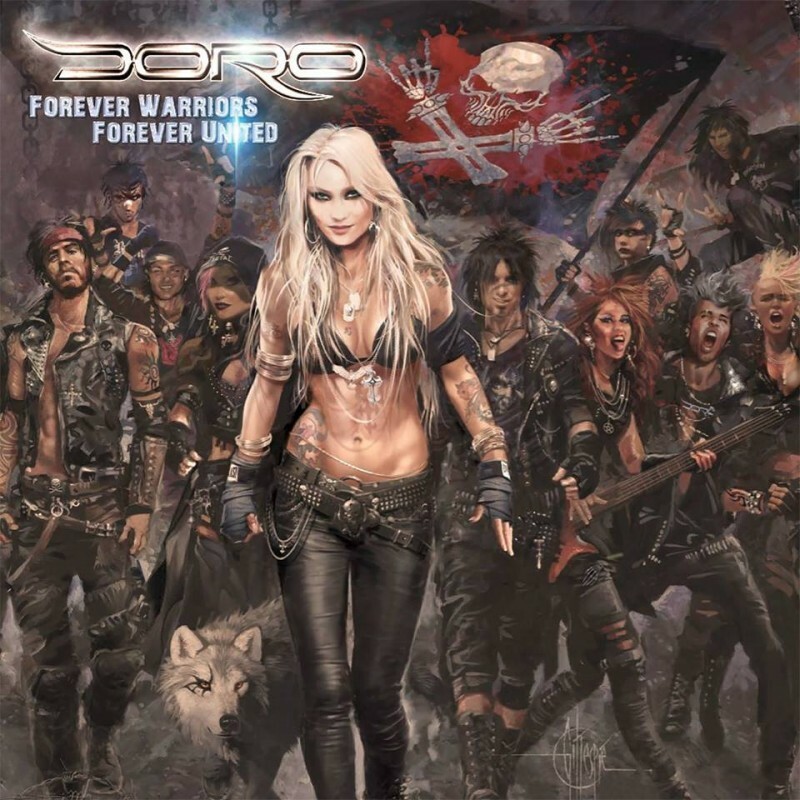 The term "radio-friendly" and Doro have rarely gone hand in hand, but 'Backstage To Heaven' carries with it all the right ingredients, including a mid-song breakdown and sax solo, as well as a great chorus to make it on the airwaves. More power ballad perfection comes from 'Lift Me Up' before a feisty 'Heartbroken' pulls off some American Hard Rock tricks. Pesch then veers close to AOR territory with 'Love Is A Sin' and 'Lost In The Ozone' which are brilliantly executed. A poignant 'Living Life To The Fullest', penned in honour of Lemmy Kilmister, hits home hard, leaving no facet of human emotion unexplored within these tracks. Even the bonus songs explore new genres, from the Punk-ish 'Metal Is My Alcohol' to the Operatic 'Caruso', both executed in true Doro style. From her time in Warlock to being the driving force of Doro, Pesch has evolved, matured and never been afraid to be different. Like all of us, she is older, but still retains stunning looks alongside a presence and confidence that has allowed her to explore new musical avenues, which together with a voice that has also developed has made this lyrically brilliant new release into something truly special. Be loud and be proud Doro!